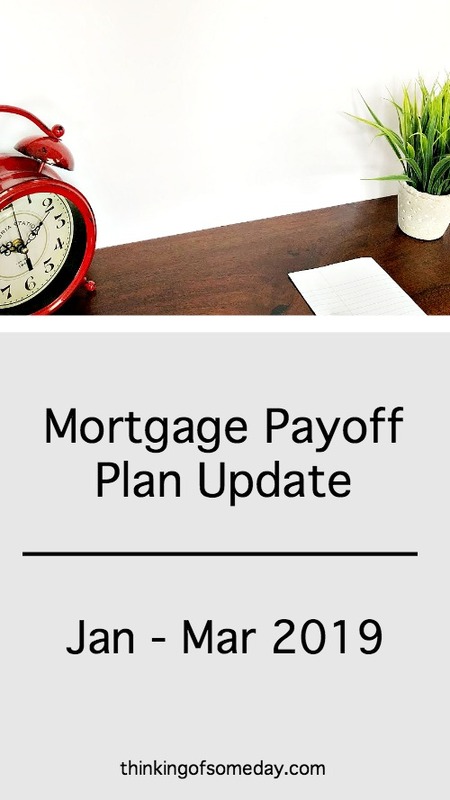 Back in January, our first post for the new year entailed our plan for paying off our mortgage early. If you missed it, you can check it out here. We wanted to wait for a little before sharing so that we could see how the plan was going to work and so that we would have enough “meat” to share. When Omar first came up with the idea of doing a 70/30 split with 30% of our leftover money going towards the mortgage, we thought it was great and would be straight forward. We would spend money on our needs and wants and then do the 70/30 split. However, it didn’t take us too long to see the flaw in this plan. We actually started in November of 2018 to give the plan a trial run. Since our budget template is already pre-filled with our regular expenses, Omar usually asks me if there is anything else we need to add to the budget. The problem we ended up having with this method was that neither of us really liked how fast the leftover money dwindled down. Thus, leaving us with a lesser amount to take 30% from. Since I’m typically the one to add any extra expenses to the budget, thus decreasing the 30% portion to go towards the mortgage… I wanted to do better and not disappoint Omar in spending the leftover money so fast. Lol. So I wanted to come up with a solution. My first solution was that I would add any extra expenses to the budget the same day we got paid, which is when we usually execute the budget. Once those expenses were added, then we would do our 70/30 split with the money that was left over. This meant that anything else that needed to be added to the budget would have to be deducted from the 70% that was left. Omar was a little shocked and asked if I was sure because this was definitely not how we would normally do our budget. I told him no (lol) but I knew that if we didn’t do it then, there was going to be a chance of us having a lesser amount to take 30% from. And I was sure that I didn’t want that. I have to admit, once I clicked submit on that payment, I wasn’t unsure anymore. December was a three-month check for us. So we did the above method again for our third checks. However, I still wasn’t quite satisfied. After much thought, I asked Omar how he would feel about taking the 30% from the money we initially have leftover before we add any extra expenses outside of our norm. Since Omar REALLY wants the mortgage gone… this was an easy sell and I earned major brownie points for coming up with this solution. We started this revised plan in January and have been rather satisfied with how it’s working out. The story above that Kim shared may be a little long considering we’re supposed to be sharing our numbers on paying off the mortgage. However, we thought it would be helpful to show what healthy communication around finances can look like between married folks. This is how a lot of our conversations go and how we work together to figure out the best solution to make both of us happy. ** note: Principal refers to the regular part of our payment that goes towards the mortgage principal. Additional refers to any extra money from our budget unless otherwise stated. The principal balance was $135,240.09 at the beginning of 2019. At the end of the quarter, the principal balance is now $124,430.45. We paid off $10,809.64 this quarter. This puts us at a little less than 50% of our goal of $23,000 for the year. When you have a major goal that you want to achieve and it’s going to take a while to do so, it can help to some type of visual to aid in keeping you motivated. I (Kim) came across some debt free charts on Pinterest a couple of years ago. 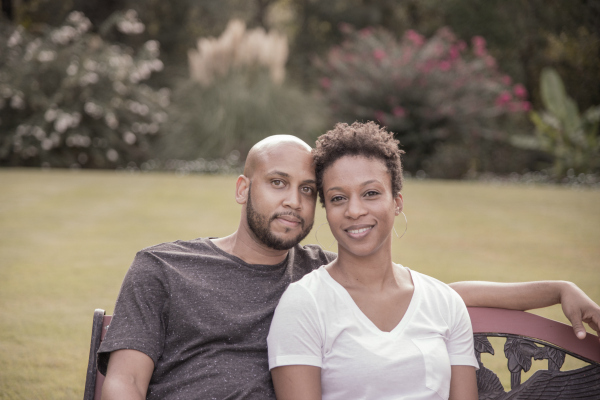 When we refinanced and realized how quickly the principal was being paid down with our regular payment, Omar mentioned he wished we had a way to show how much we’ve paid down the mortgage. After some research, I came across debtfreecharts.com. She offers all kinds of free charts for paying off debt and saving, and will even do custom charts. I showed Omar a picture of the mortgage payoff chart, and he liked it! Initially, he colored it in with different color ink pens, and I always hated it because it wasn’t “pretty” (lol). But also because I had seen some people color their charts with a black marker and it literally looked like the debt was disappearing. It was exciting to put that big extra payment from the RSUs onto the mortgage, and crazy enough it was equally as exciting to finally color in some lines on our chart again! The last time we colored in a line was in January when we got the mortgage below $135,000. Since our lines our in increments of $5k until we get the mortgage down to $15k… it’s always a while before we get to color in any lines. The wait is definitely worth the excitement it brings us though. This has definitely been an interesting yet exciting journey that we have decided to embark upon. It almost makes us want to pay the house off even quicker than we initially planned, which was in 6 years. Although we were expecting the RSUs and knew we wanted to cash them out and put it towards the mortgage (although we contemplated not doing so or putting it towards our emergency fund), we never expected to have reached almost 50% of our goal so soon. Hopefully, we can keep some of this enthusiasm and momentum going… Because we still have a long way to go! Wow that is huge!! Congrats on plunking down so much to your mortgage debt. Hitting the principal is the fastest way to pay off your mortgage. Thanks GYM. It felt good to pay the extra each time! Our oldest son asked us what we were coloring. We’ll probably let him color in a line one day as well! Wow…this is awesome…..yes..long road but it gets easier as you get closer and the interest gets lesser and lesser….love it! !